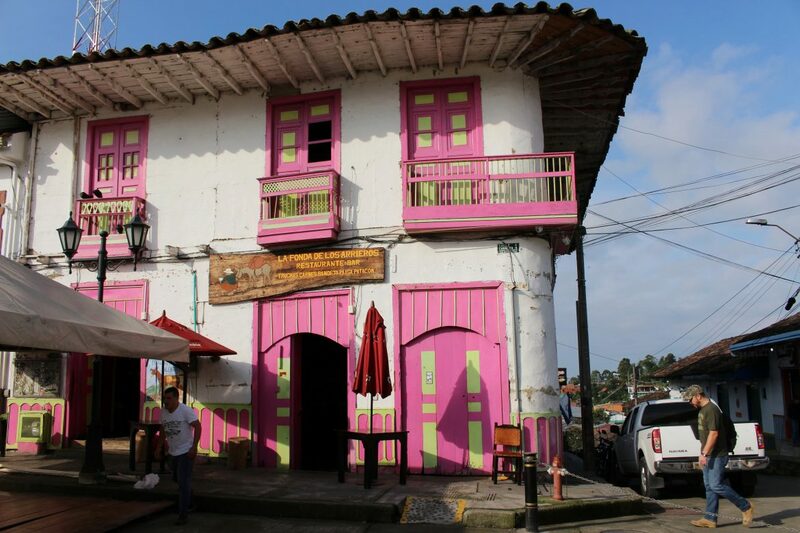 On the way from Bogotá to Medellin many travelers make a stop at Eje Cafetero, the beloved coffee region of Colombia. 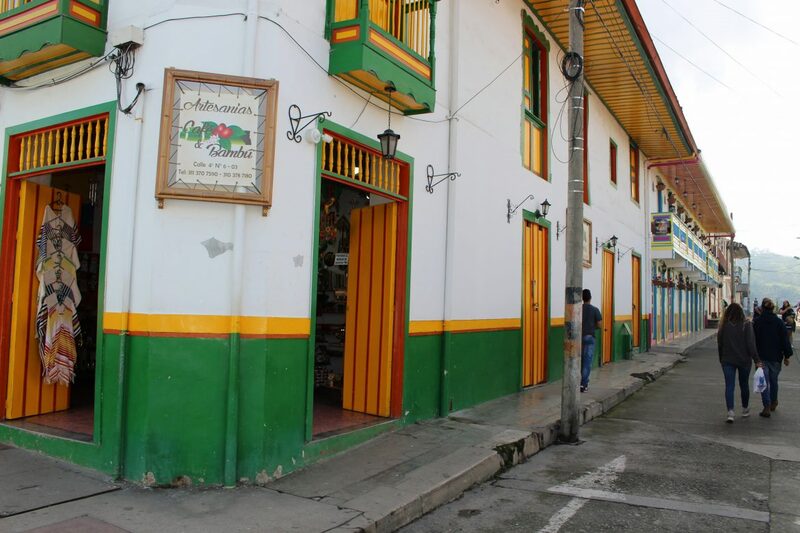 Coffee is one of the most important export products of the country and this area has a lot of characteristic fincas where you can see the process from bean to warm beverage up close. 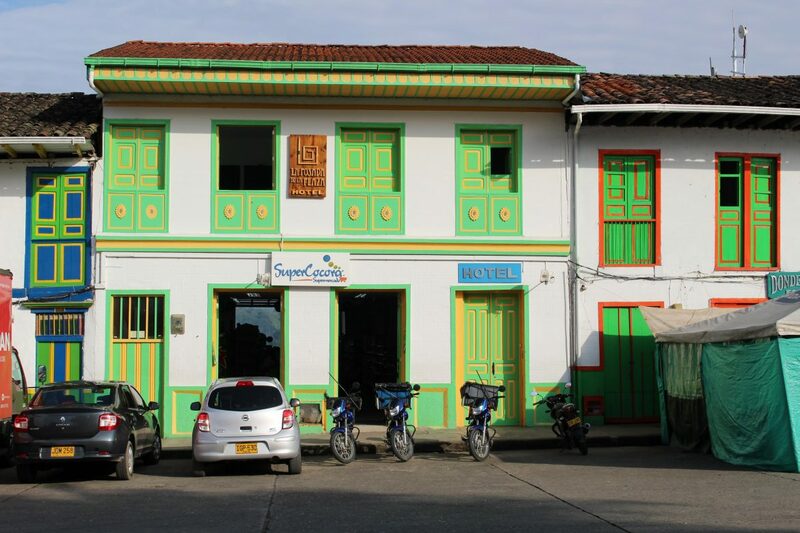 For us, the coffee was not the main reason why we wanted to visit this region. We came here for the many adorable villages. Salento is one of them, our home base for 3 nights. 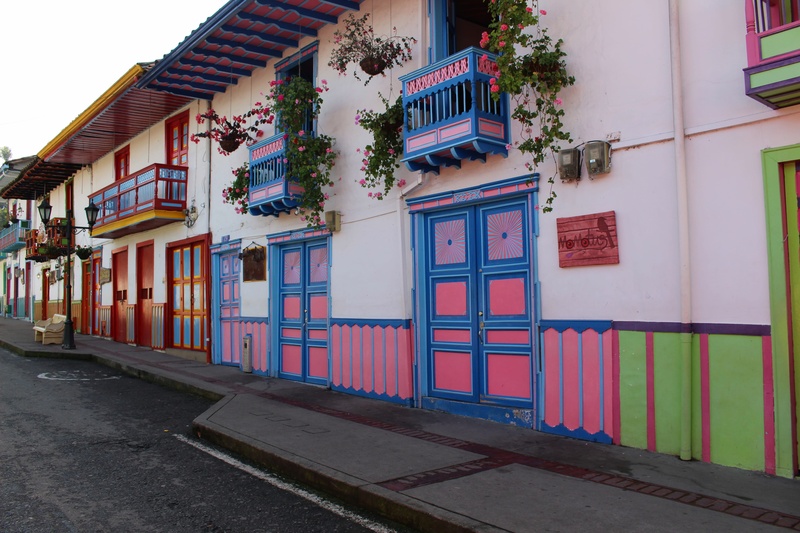 I really liked Salento, especially after having spend some time in chaotic and busy Bogotá. 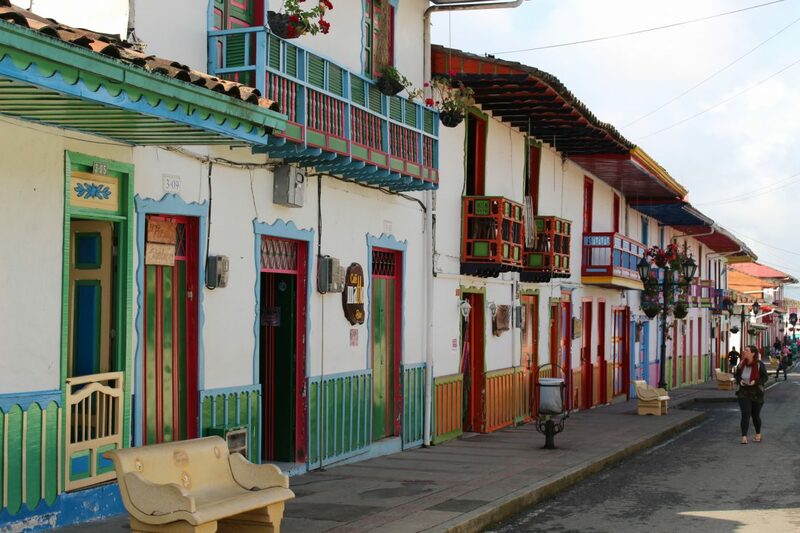 This colorful mountain village is surrounded by green hills and is the gateway to the Cocora Valley National Park. 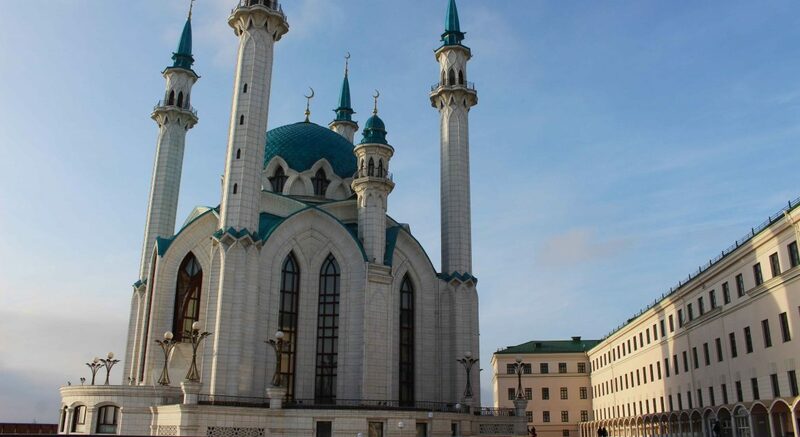 In this article I will share my tips and recommendations for this town. This is the number one activity if you ask me in the town of Salento: wandering around with no plan and randomly choosing streets. Every time it felt like a small present to see which joyful color combinations we ran into. 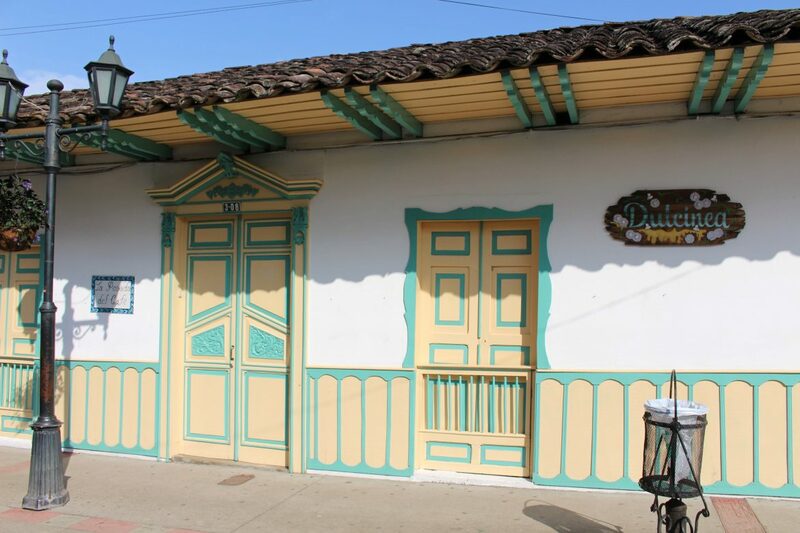 Green with yellow doors, blue with pink window frames: no color combination was too crazy. Walking around turned out to be also a great exercise to burn the oily Colombian beans and rice diet. 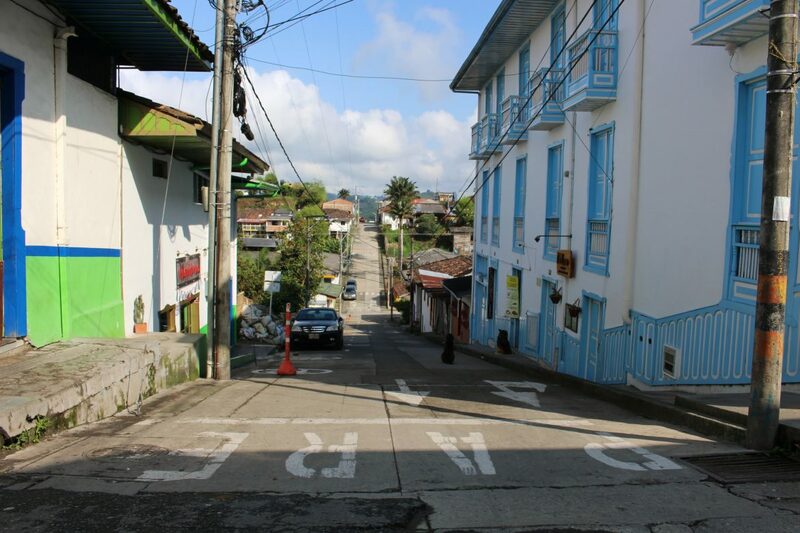 The streets of Salento has a lot of hills, so the calves are put to work. 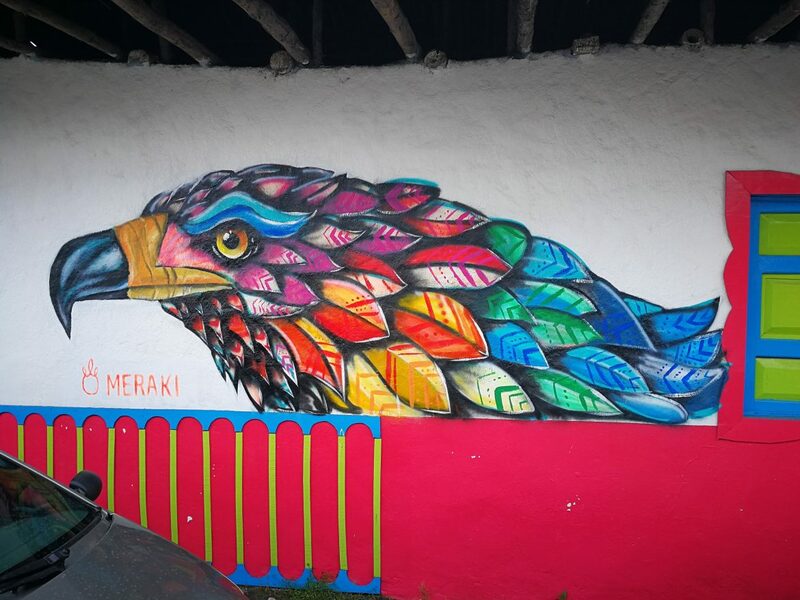 During my strolls I also saw a few works of street art. 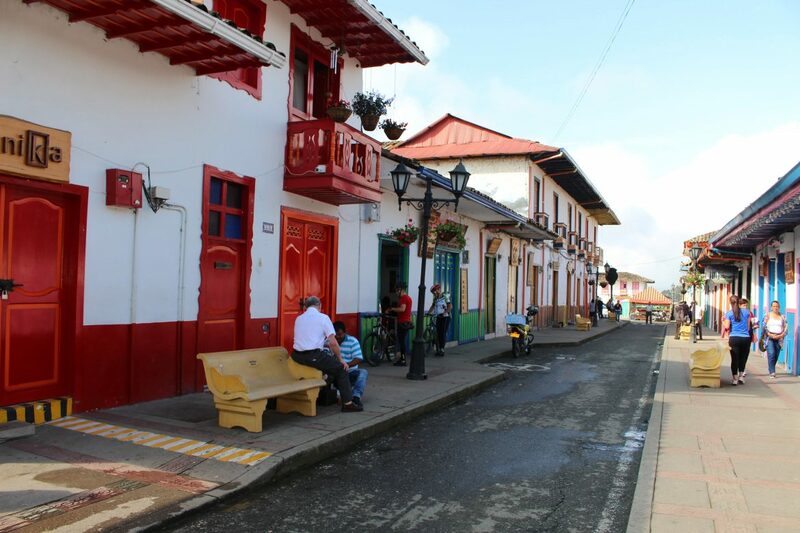 Do not expect the same amount as in Bogotá or Medellín, but that would also not fit with Salento. 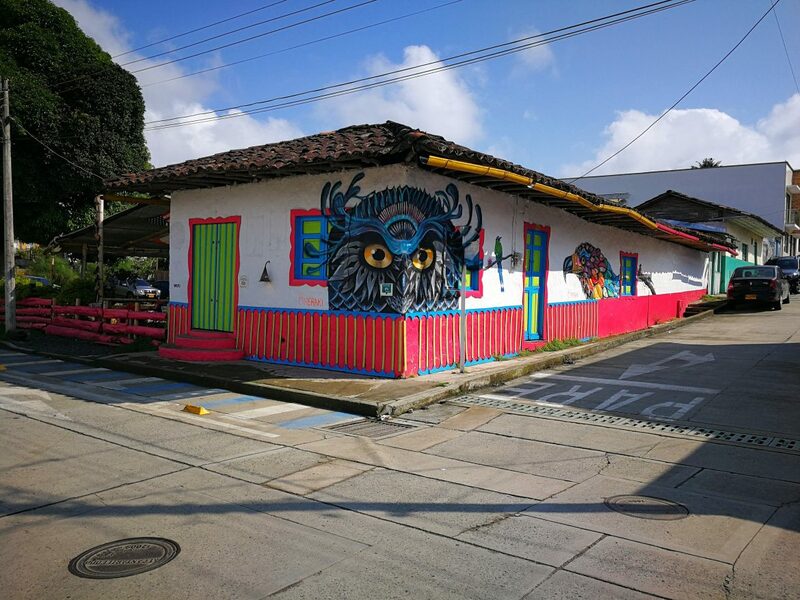 It is a small town and that means a small dosis of street art. And as with everything in Salento, the works were just as colorful as the architecture in the city itself. 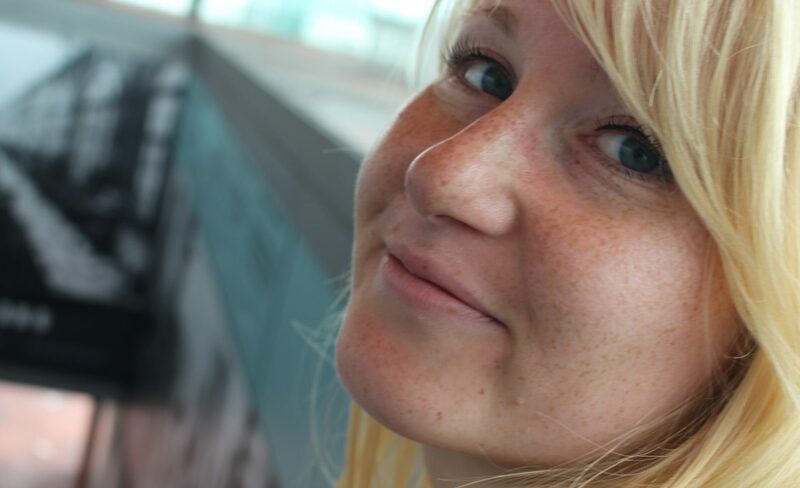 Not a fan of the Salento hills? 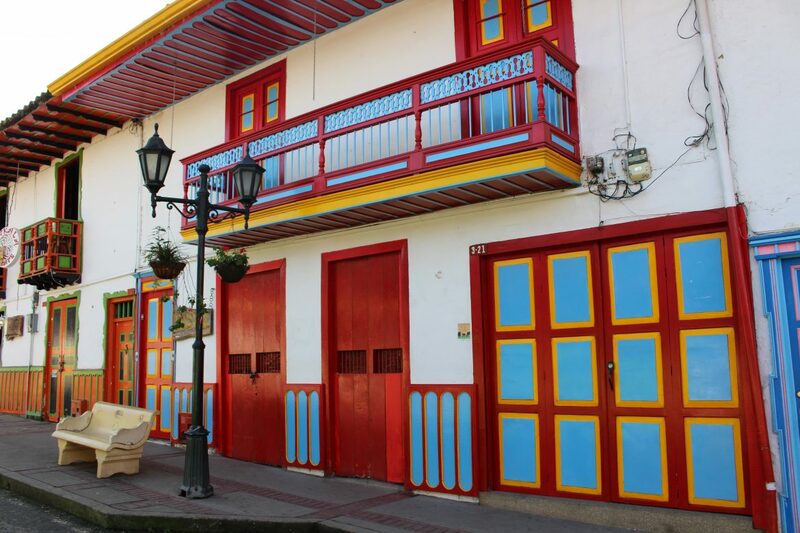 Make it yourself easy and go straight to the most colorful street of the village: Calle Real. 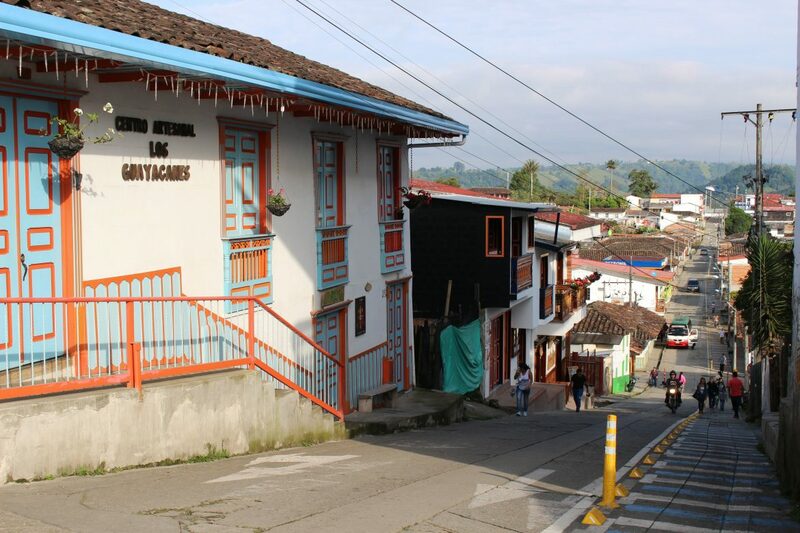 One large street with on both sides colorful houses. 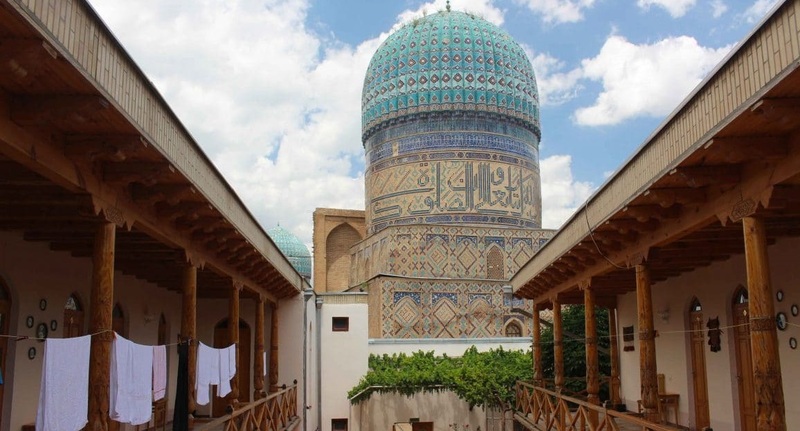 It is a popular place under tourists, because you find here many restaurants, souvenir shops and cafes. During the day the Calle fills up quite quickly, but I have a solution for this. Get up early and visit the lane before 10 am. I did this and as you can see on the photos I had the Calle all to myself. 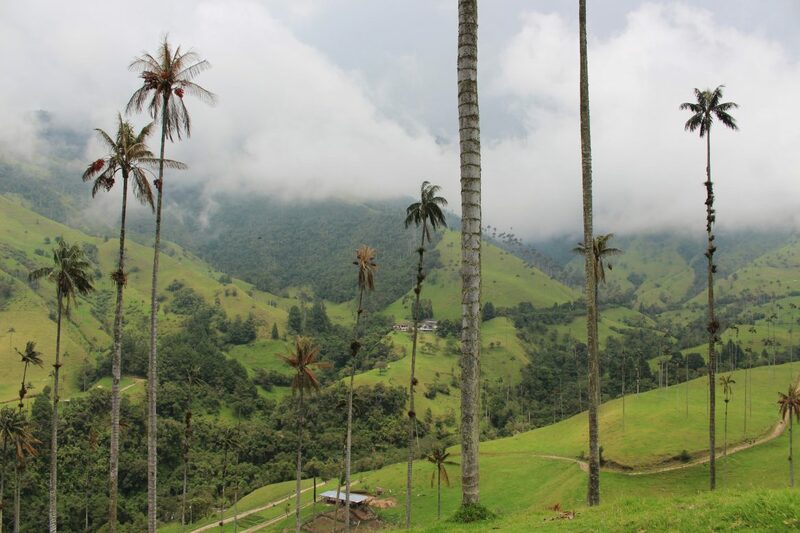 The highlight why every traveler goes to Salento: Valle de Cocora. 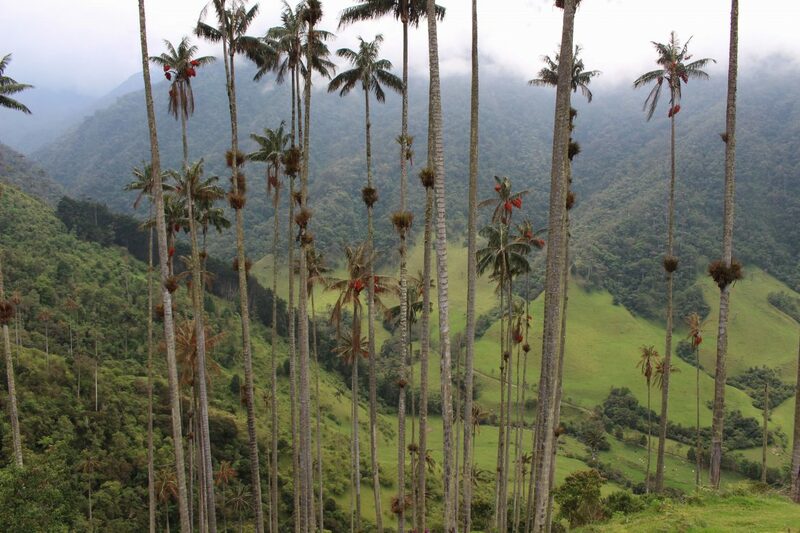 This is a green valley, a 30-minutes drive away from Salento, with wax palms of 60 meters high. 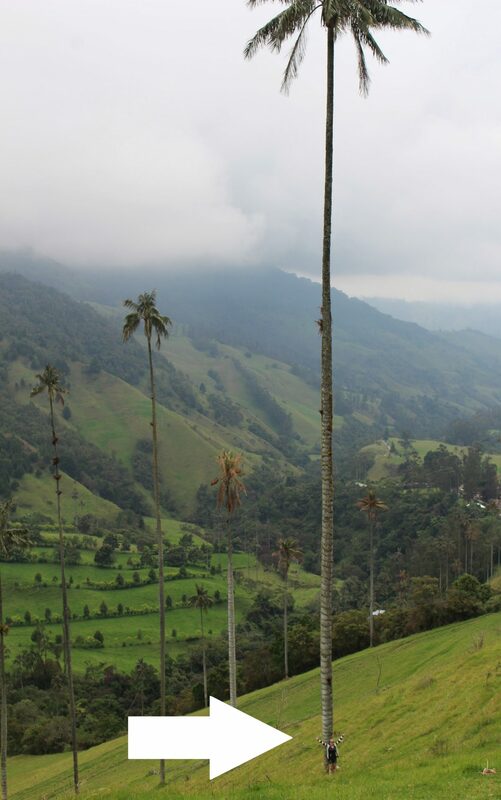 This tree species is the highest palm in the world and that is something you really feel when you stand under it. Unfortunately the tree also comes with a sad story: the wax palm is threatened with extinction, because the farmers used the wax for candles and construction materials. 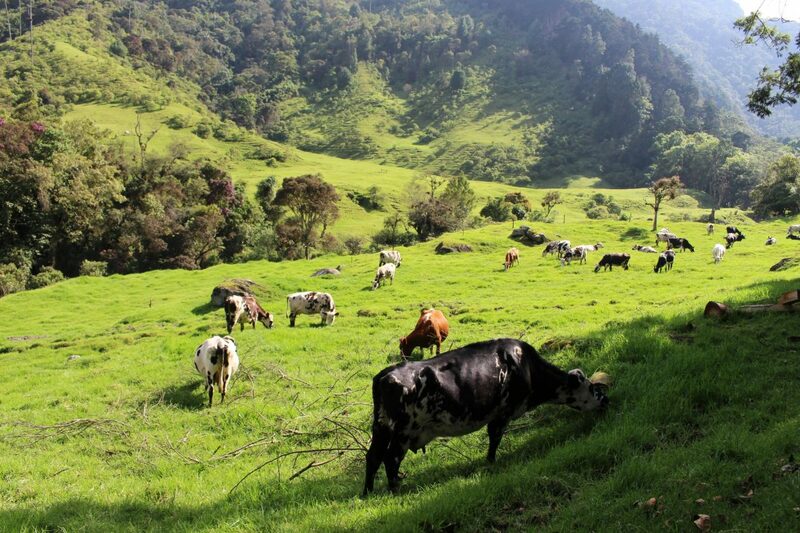 Since the eighties the Cocora Valley is a protected nature park and is part of the much bigger Los Nevados National Natural Park. How do you reach the valley from Salento? 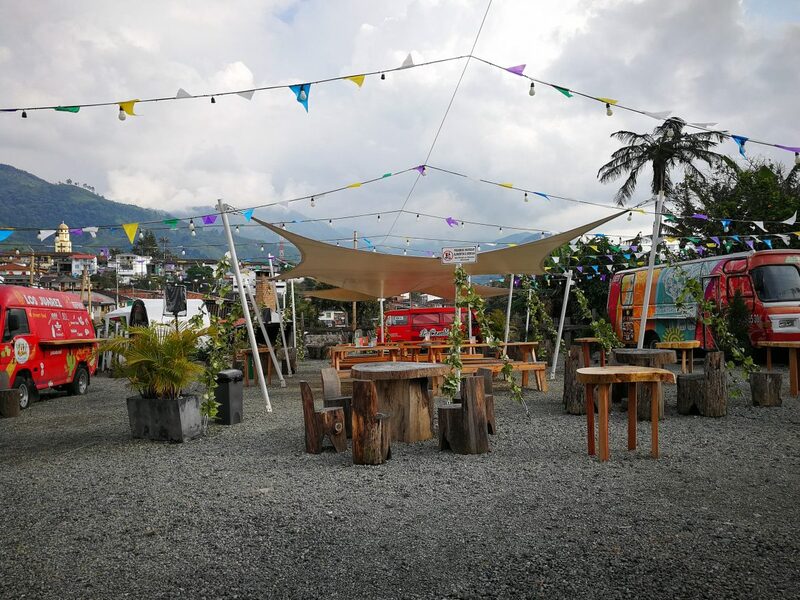 Easy: catch a drive with the shared Willy’s (jeeps) from the central square in Salento to the valley. A ride cost 4000 pesos (single trip) and the jeep will drive when there are enough passengers. 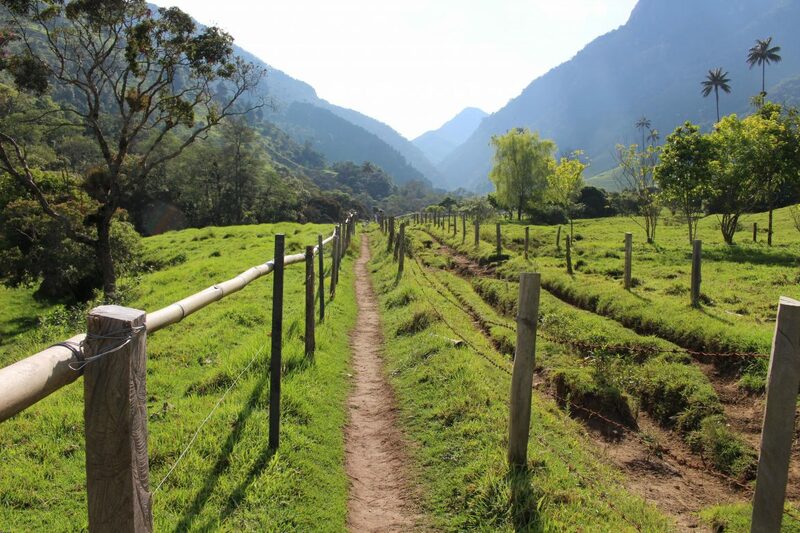 Arriving at the valley, you can choose two routes: the short one and the long one. If you go for the short route (keep following the broader path), then you will reach the valley within 30 minutes. 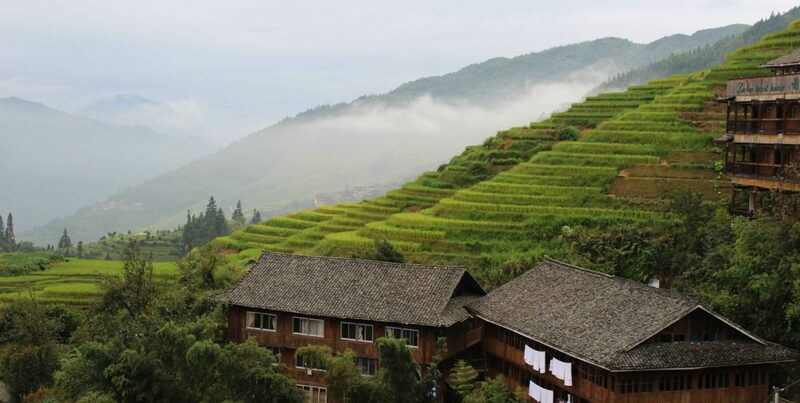 If you go for the long route (go the right and go through the blue gate), you will go on a 5-hour hike along grazing cows, wooden bridges and waterfalls, and the valley is your end point. 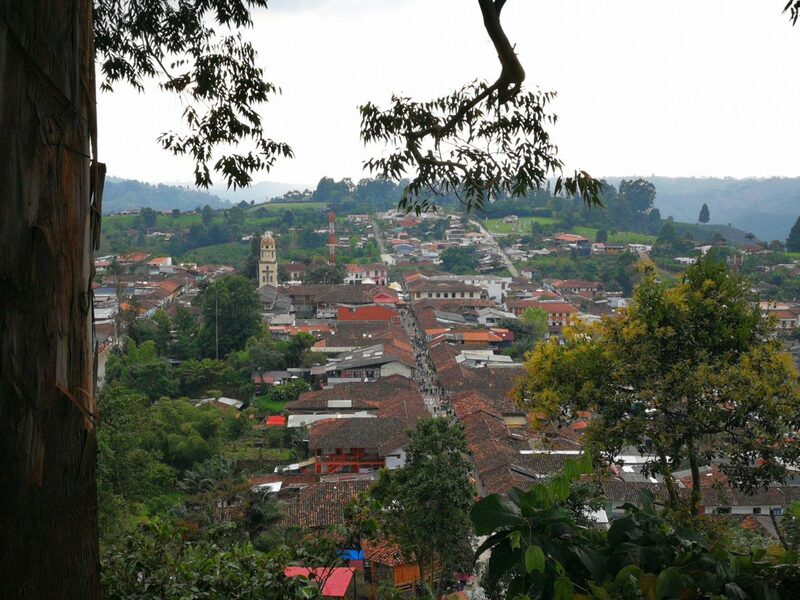 The first two hours of the hike are quite easy, but after that the true climbing start until you finish at Finca La Montana. A lot of hikers take a rest here and enjoy the view, and so did we. After that it is all downhill along beautiful Miradors and eventually the palm valley. I really enjoyed the long route, because it is a challenging but rewarding hike. Worth all the effort! Download the Maps.me app, because it will show you during the hike which path to take to get to the valley. Look for the name El Bosque de Palmas. Plan the hike in the morning, because in the afternoon it often rains. Bringing a raincoat along might also be useful. Put on some old walking shoes (that can get dirty) and bring a sweater. 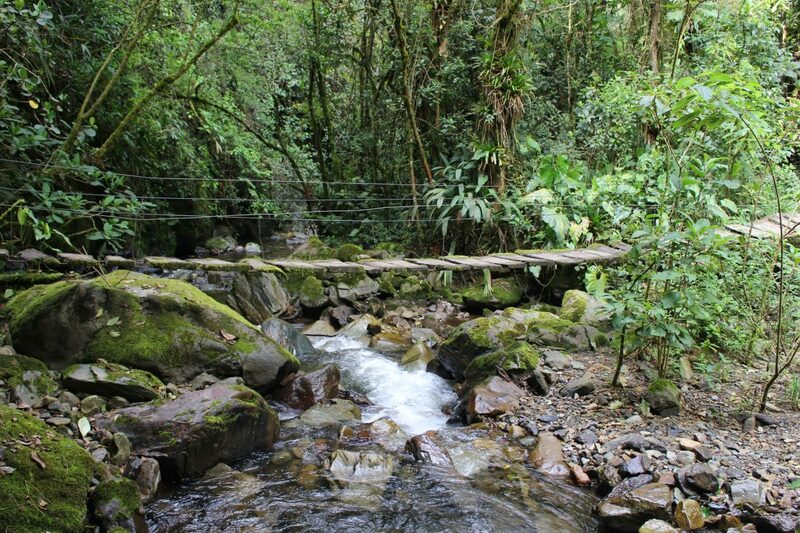 The paths can get very muddy and the temperature varies during the hike. Last tip from an animal lover: visit the valley on foot, not on the back of a horse. The paths are narrow, slippery and muddy. As a hiker I slipped a couple of times. Imagine how much trouble a horse has climbing up these paths with people on his/her back. Back in Salento and still some energy left? 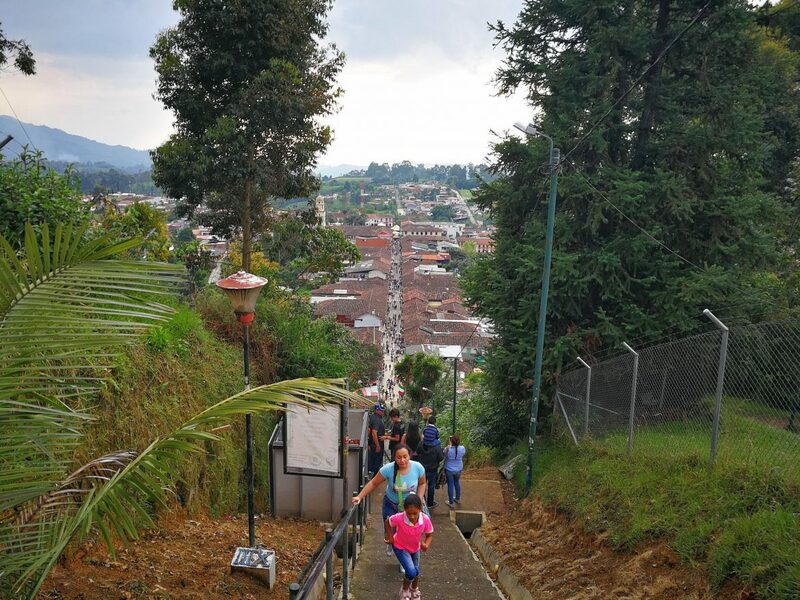 Walk to the end of Calle Real and climb the steps to Mirador del Alto de la Cruz. Again, Colombia is not a flat country. The roads constantly go uphill and downhill. Painful for the calves, but a joy for the eyes because you are often treated to beautiful viewpoints. I do have to admit though that the view from the Mirador might not be the most spectacular one. 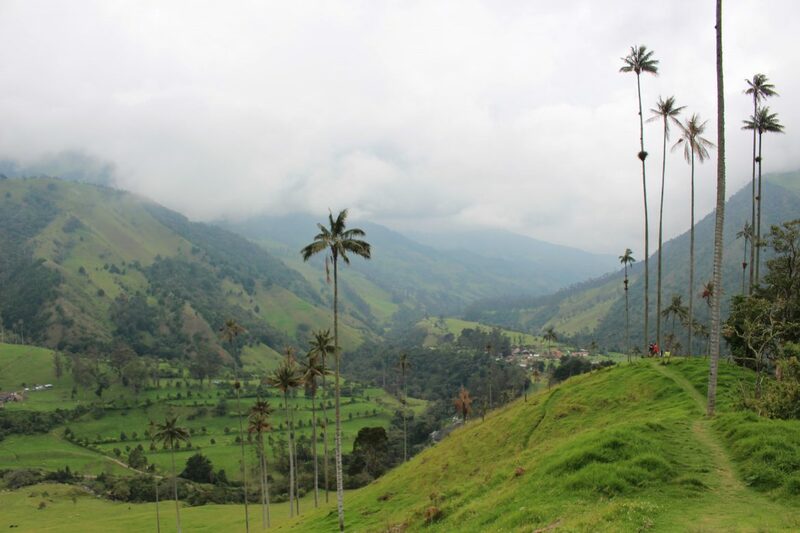 Especially if you have done the hike in the Cocora valley, the viewpoint in Salento is okay. Nice option to do when you have some time to spare. With all that walking and climbing you really work up an appetite. 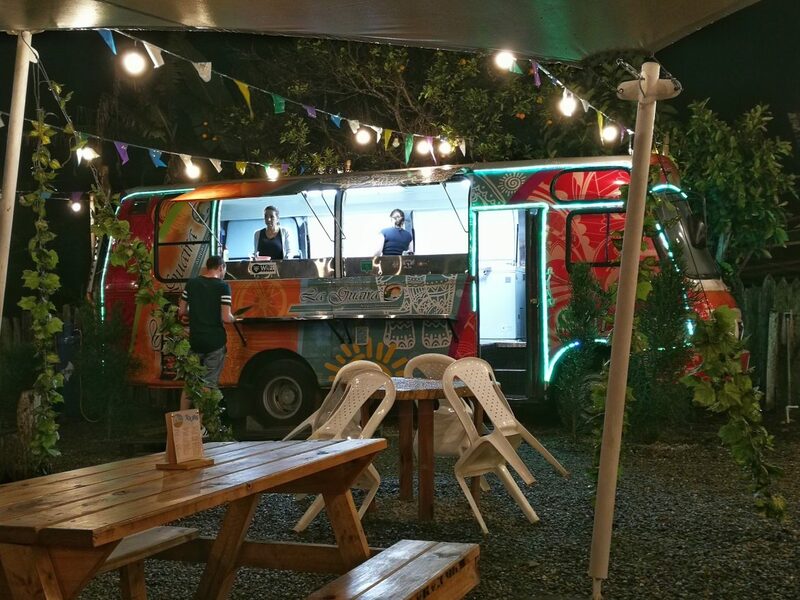 Head over to the food trucks of La Estacion del Street Food (Carrera 2). We came across this by accident and it looks so nice with the garlands, lightning and seating areas. We could not resist to take a look and share a bite or two. A big advantage of food trucks: you can choose dishes from all over the world. 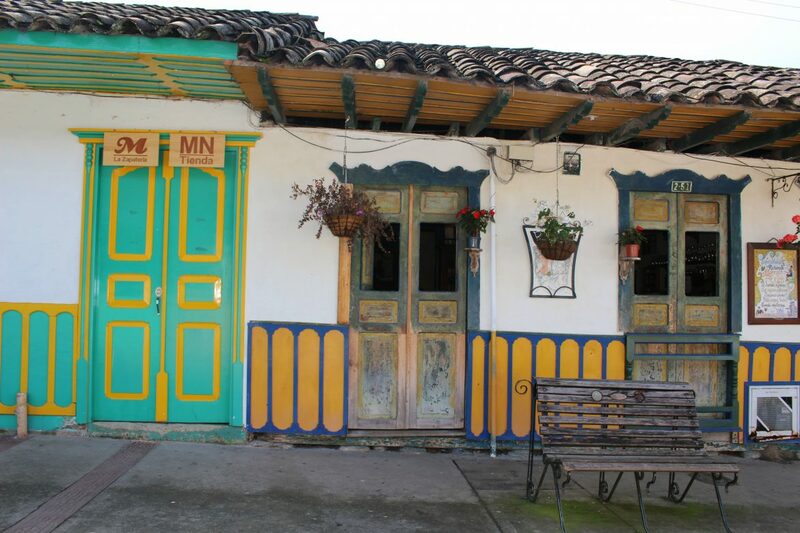 Go for typical Colombian, Moroccan mezze or a plate of nachos. Good to know: also suitable for vegetarians. For drinks I ordered a cerveza michelada. This is a beer cocktail with a shot of lemon juice, served in a glass with salt around the edges. Personally I was not a big fan of the flavor, but maybe it takes time to get used to it. Would you also want to visit Salento?